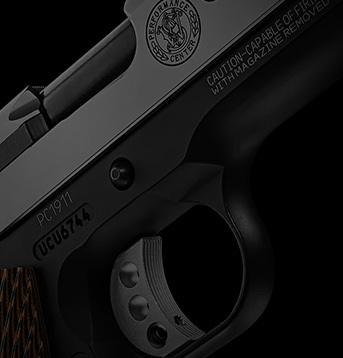 Smith & Wesson is committed to producing firearms of the highest quality. To accomplish this goal, we are constantly evaluating and monitoring the safety, reliability and performance of our products. As part of this ongoing evaluation process, we have received reports, in an extremely small number of cases, that the firing pin safety plunger of the SW1911 pistol can become disabled, creating a situation where the slide may jam and render the firearm inoperable. This only pertains to certain Smith & Wesson Model SW1911 pistols bearing serial numbers JRD0000 to JRD4750. 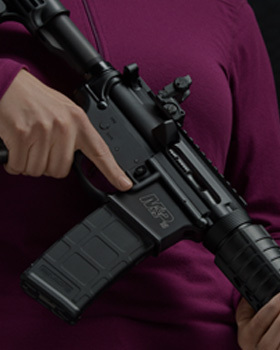 To date, none of these cases have resulted in any injury, and Smith & Wesson has not received any reports of any accidental discharge associated with the functioning of the firing pin safety plunger. While the company has not received any reports of injury, a failure of the firing pin safety plunger may affect the reliability and safety of your firearm. Therefore, given our commitment to quality and safety, we are initiating this recall campaign, and we are offering to repair, free of charge, any affected SW1911 pistol. For more information please view the "SW1911 Safety Recall Notice" PDF file at the top of this page. If after viewing the document you believe your SW1911 requires service, please call us at 1-800-331-0852 or email us at qa@smith-wesson.com. A special FedEx return label and shipping instructions to facilitate the return of your Model SW1911 Pistol will be mailed to you promptly. If you have any questions you may call 1-800-331-0852 for more information.